It cannot be denied that day by day Facebook Messenger is becoming feature rich, but at the same time, quite resource-heavy, as well. 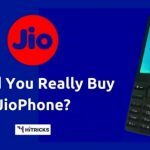 Currently, apart from the usual messaging features, it offers voice and video calling, scheduling events, secret messaging, playing games and much more. While they seem to be very interesting to most of the users, professional users may find it quite irritating, to be bogged down with unwanted extras. So, finally, here’s a good news for you. Facebook has made a lightweight version of its Messenger App with the most basic features, which will help you to stay connected with your friends in convenience. It strips off some of the features from the Messenger app and is perfect for users to communicate with others for the basic stuff. Here’s what you get and what you don’t get with the Messenger Lite. Let’s compare Messenger Lite with the Messenger and see what are the differences in features and user experience. 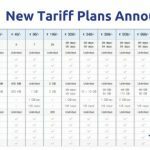 Here is the fine print for you. 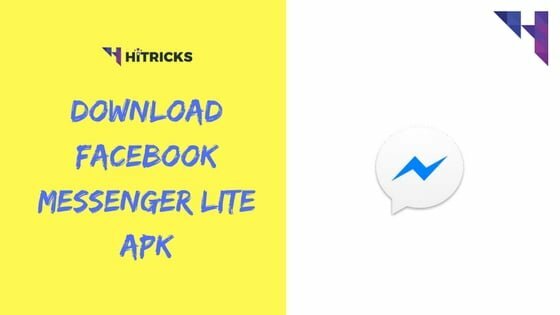 Unlike a 50MB Messenger application, Messenger Lite is truly lightweight application which is under 5MB. This means you can use it on any device on any Android versions. You can install it on old devices and on devices with low ram and storage. It will work as usual. Really Facebook is trying to push the bar, and reach out to users of all types without compromising its rich user experience, with its Facebook Lite and Messenger Lite applications. Messenger Lite offers you the same chat window as Messenger. You can send text messages one to one or group, voice messages, pictures or videos. You can also send stickers with the available sticker panel. Emoji panel is not available but nowadays all keyboards support emojis. If you don’t have emojis on your keyboard, better install a better keyboard application. Here are the best keyboard apps for 2017. This calling feature was not there in the earlier editions of Messenger Lite, it got added recently. You can now call your friends and receive calls. But, video calls are not supported yet. Maybe, in future, it may come. Chat heads are missing in Messenger Lite. If you are a chat heads fan, then Messenger Lite is not for you. But, many of us including me, keep the chat heads off, for them it is useful. Other features of Messenger Lite includes seeing who is online, checking out the message requests etc. However, secret messaging, games, events etc are not available on the app yet. (And I don’t want them to add those). Keep it a simple lightweight app, why include features that are less used? Messenger Lite app is available to download from Google Play. However, I am giving both Google Play link and direct link. 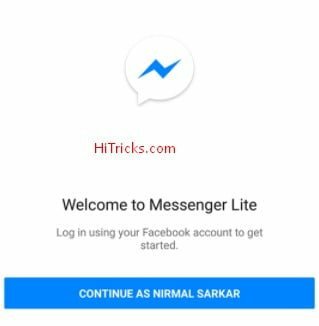 How to Install Messenger Lite? If you are downloading from Google Play, it will install itself. If you downloaded via the direct link, then you need to sideload it. Sometimes, installing by a 3rd party is blocked from settings. You need to enable it. Open the app. It will ask you to log in via Facebook. Click Continue with Facebook. That’s all. Now it will load the main screen with your conversations. That’s it. 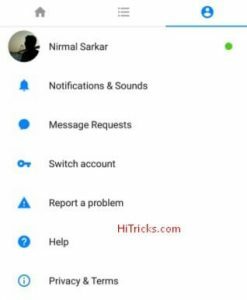 If you want to check out your message request, you need to browse to its settings screen and then tap on Message Request button to see your message requests. From the settings screen, you can also configure how you want to get notified when someone messages you. You can choose from a ringtone to vibration for notification previews. The usual messenger UI is good. It never lags. Works faster than the main Messenger app. I liked all aspects of this app, except for one thing, that is, you cannot send images in bulk. The Messenger app has its own gallery to load images, but this lite version takes images from the built in the gallery app. So, you need to select one image at a time. Leaving that, other stuff are pretty interesting. Download it and start using. Let me know how you like it. Thanks for reading my post on Messenger Lite app. I hope you can enjoy a faster messenger experience. If you have any further queries don’t forget to write it down below. I am always available for your assistance. Also, don’t forget to share this post with your friends and let them know about this app. It will be helpful for them, especially if they use a low memory mobile device.